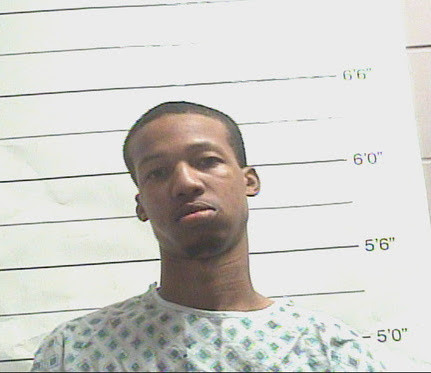 On Monday (Feb. 18), New Orleans police arrested Norman Lee, 23, regarding the recent homicide near the intersection of Martin Luther King Blvd. and Freret St.
NOPD Sixth District officers discovered a 34-year-old male victim lying in the street suffering from a gunshot wound to the head the day prior. The victim was pronounced dead on scene. A second victim, described as a 79-year-old male, was found to have suffered a gunshot wound to the leg and was transported to an area hospital for treatment. Investigation into the injury of the second victim remains ongoing. As investigation into the incident progressed, NOPD Homicide Unit detectives developed Lee as the perpetrator of the homicide and were able to obtain an arrest warrant on a charge of second degree murder. Lee was located Monday, arrested without incident, and booked into the Orleans Parish Justice Center accordingly. The Orleans Parish Coroner’s Office will identify the decedent in this incident, upon completion of autopsy and notification of family. Anyone with additional information on this incident is asked to contact NOPD Homicide Detective Barret Morton at 504-658-5300.